As fuel prices continue to surge across India for the 10th consecutive day on Wednesday, former Union Finance Minister P. Chidambaram claimed that the rates can be reduced by Rs. 25 per litre, but the government is not doing so. "It is possible to cut up to Rs 25 per litre, but the government will not. They will cheat the people by cutting price by Re 1 or Rs 2 per litre of petrol," he said in a Tweet. Petrol prices rose by 30 paisa in most metropolitans on Wednesday. In Mumbai, they touch Rs. 85 per litre, whereas in New Delhi, the rate has crossed Rs. 77 for a litre, angering the vehicle owners. Kolkata residents are also fuming. A commuter told ANI, "Market is fluctuating every day and it is disturbing the budget of middle-class people. We have to cut-off our expenditure on other goods for petrol and diesel." Bharatiya Janata Party (BJP) president Amit Shah, on Tuesday, said that the government is working on a plan to check the spike in fuel prices. "The government is taking the matter of oil prices seriously. Petroleum minister will have a meeting with the officials of the oil companies. We are trying to work out a formula to reduce the prices in the next three to four days," Shah told reporters here. Petrol and diesel prices vary from state to state depending on the factors like VAT and local sales tax. People in non-metropolitan cities are also reeling under the record-high fuel prices. A man at Lucknow's Jopling Road said, "Now we have to start riding bicycles and give up our cars. If the price hike continues, then there will be no relief." Analysts believe that the less production of oil in the OPEC (Organization of the Petroleum Exporting Countries) and hike in crude oil price in the international market are some of the factors affecting the fuel price. 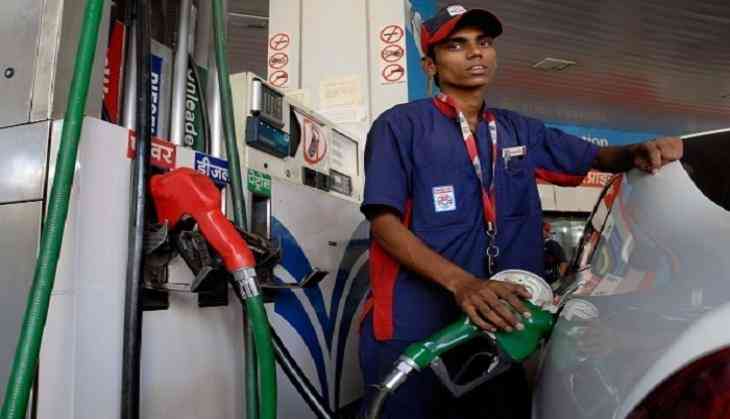 All India Petroleum Dealers Association president Ajay Bansal on Tuesday said that they can only control the rising fuel price by reducing VAT of state and central taxes.